After unplugging all of the devices, Danielle said she called Amazon multiple times before she received a response. 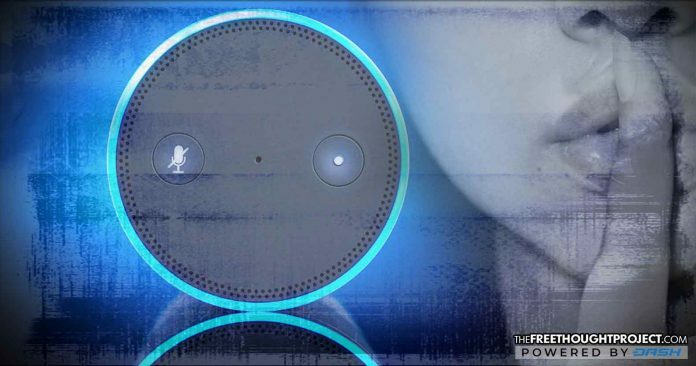 When an Alexa engineer finally looked into Danielle’s claims, she said he acknowledged that the device had recorded conversations inside her home and emailed them to a random contact, and he then apologized profusely. “They said ‘our engineers went through your logs, and they saw exactly what you told us, they saw exactly what you said happened, and we’re sorry.’ He apologized like 15 times in a matter of 30 minutes and he said we really appreciate you bringing this to our attention, this is something we need to fix!”Danielle said. As The Free Thought Project has previously reported, while Amazon devices can be activated by a number of wake words, including, “Alexa,” “Amazon,” “Computer” and “Echo,” and users cannot turn off the required microphone, they can track what Alex has recorded and to delete it.